After securing the services for Ajax wonder kid, Frenkie de Jong, FC Barcelona President, Josep Maria Bartomeu, has confirmed interest in another prodigy, Matthijs de Ligt. Matthijs de Ligt is a product of the popular Ajax academy - which is regarded as one of the best in the world due to the generational talents it has produced for decades. Despite being just 19 year old, the Dutch centre-back has already attracted suitors across Europe due to his superb defensive abilities. It is rare for a player of his age to show such composure and calmness to lead the defence, but De Ligt is doing the job sensationally well, leading Ajax at such a young age. De Ligt's abilities speak for him, as he has delivered some powerful performances against tough opponents so far. Ajax were deserving winners last night as they knocked out Real Madrid from the UEFA Champions League, inflicting a crushing 1-4 defeat at the Santiago Bernabeu. The Catalan giants have already secured the services of De Ligt's 21-year-old teammate, Frenkie de Jong, for €75 million and he will arrive at the Camp Nou in the summer. 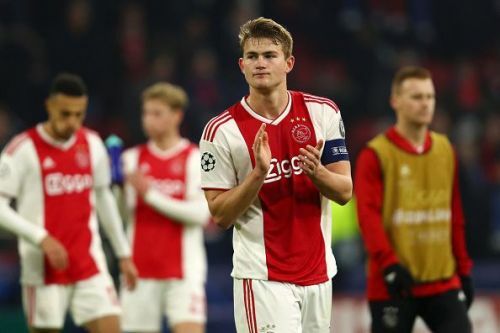 Meanwhile, De Ligt publicly said that he wasn't open to leaving Ajax in the winter transfer window. Josep Maria Bartomeu has expressed Barcelona's interest in De Ligt, claiming that his name is on the wish list. "His name is on the table," Bartomeu admitted in an interview with SER Catalunya as quoted by Marca..
"Where there is such talent away from Barcelona, we're always looking at them." added Bartomeu. "It's a topic that will be discussed in our sports planning which begins in March, with De Jong we felt we had to move quickly because there were many clubs that wanted him. ", Barcelona president concluded. It is no secret that top clubs like Manchester City and Paris Saint-Germain have been heavily linked with the talented defender. Barcelona will have to fight it out to get their hands on De Ligt.